ITxPT develops and delivers specifications of a standardized IT architecture with open interfaces enabling interoperability for onboard and back-office IT-systems in public transport. The non-profit association federates public transport authorities and operators as well as system suppliers and vehicle manufacturers. The association is growing quickly and has today 90 members in 18 countries. The Associated Membership gives Datik the opportunity to work more closely with bus and coach manufacturers and public transport operators. 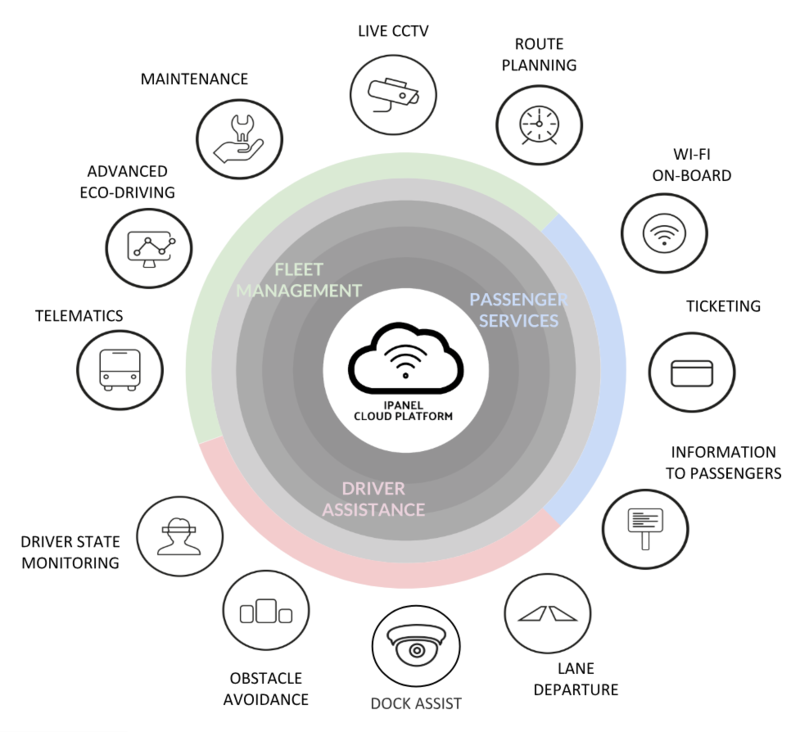 Datik supports its customers with an all-in-one cloud platform that hosts a range of applications such as geolocation, eco-driving features, driver engagement tools, on-demand and live CCTV, preventive maintenance, journey planning, WiFi and information to passengers. Iñigo Odriozola, CEO of Datik, said “We see a lot of public transport operators with two, three or even more independent systems installed in their buses, all working independently and costing a lot of money. Openness and integration can help operators reduce their operating cost, improve their service and bring more benefits to passengers. By becoming a member of ITxPT we reaffirmed our commitment to our mission”. “There is a strong interest in ITxPT right now as digitalization becomes more and more important in public transport. Systems interoperability is the key to cost efficiency as well as future smart mobility services and ITxPT offers this open architecture based on standards that allows systems to communicate and encourages suppliers to cooperate. I am truly happy to welcome Datik in the ITxPT community”, says Anders Selling, Secretary General of ITxPT.